Proverbs 27:17 ………’Iron sharpens iron’ What does it mean? Iron sharpens iron, and one man sharpens another.” When iron blades are rubbed together, each becomes sharper and thus more effective. Likewise, when believers are involved in one another’s lives, mutual edification occurs. Ecclesiastes 4:9-12 is a similar passage: “Two are better than one, because they have a good reward for their toil. For if they fall, one will lift up his fellow. But woe to him who is alone when he falls and has not another to lift him up! Humans were created for fellowship (Genesis 2:18). You cannot reflect God to others if you don’t interact with people. You cannot grow in faith if you don’t think, talk, share, test, ask, clarify, address, simplify, quantify, explain or examine your faith with others. 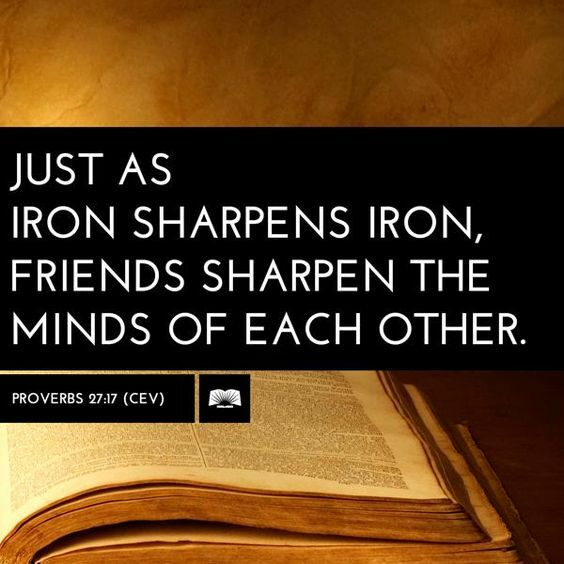 Faith grows when it’s shared, thus in proverbs we have this metaphor.“Iron sharpen iron.” Two minds are better that one. 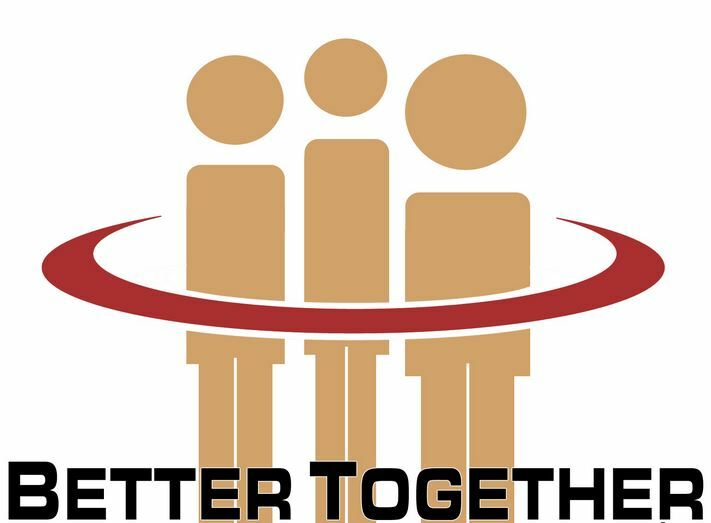 Together we can achieve more. There is strength in unity. Of course, God doesn’t want us to miss out on having some fun, but He wants the type of fun that is good and praiseworthy. Fun that brings people , children, families and groups together. People that can pray and have fun together and share their troubles and tribulations. When I look back to my childhood, it makes me think of how I had my grandparents, uncles, aunties or older cousins that looked after me while my parents worked. This other analogy clearly shows me that raising a child was not just for two people. “It takes a whole village to raise a child.” Igbo and Yoruba (Nigeria) Proverb. The basic meaning is that child upbringing is a communal effort. Like growing in faith should be, because nothing grows without love, friendship, faith, respect, honesty, hard work and communication. Similarly, it takes fellowship with other people to grow in faith and to grow the Kingdom of God. Wow, wonderful blog layout! How long have you ever been running a blog for? you make blogging glance easy. The entire look of your website is magnificent, as neatly as the content! I’ve been doing this for five months. I love art, I’m surrounded by it. I try to integrate my love of art as much as I can. Thanking you for viewing my blog. Please come again!